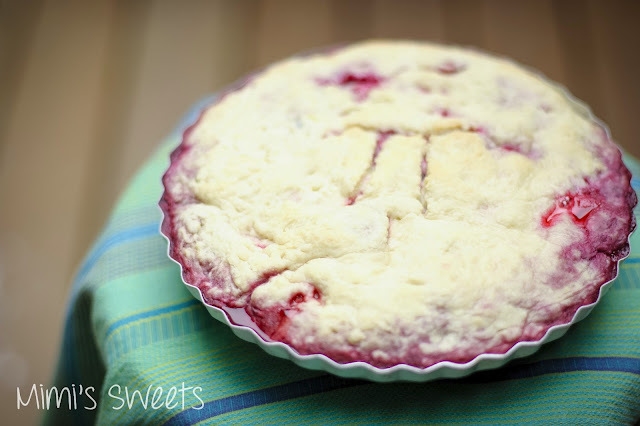 The nerd in me decided to bake a pie on Pi Day. The even nerdier part of me decided that it needed to be a Raspberry Pi! I know the grammar police are saying to themselves, "She spelled Pi in Raspberry Pi incorrectly!". Rest easy knowing that it is spelled correctly. I'm just embracing my inner nerd. For those of you who know what I'm talking about-- Yay, we can share in our nerdiness (and you can maybe even be impressed that the baker is a nerd too)! If not, I'll give a general description and a link to view if you would like to know more. Basically, a Raspberry Pi is a credit card sized computer that you can plug into your tv or keyboard. You can use it for a lot of the things regular computers are used for: to play games, open spreadsheets, etc. It also plays high-definition video. Pretty sweet, right? Okay, okay... Putting the super nerd away so I can tell you about the actual pie. When you aren't in your own kitchen, you aren't guaranteed to find the same ingredients, utensils, oven-- and the list goes on. I say this because I was visiting my in-laws in Seattle last week, and baking was a bit of a different experience for me. Not only was I a little disoriented working in a completely different kitchen (where you are almost always guaranteed that nothing is where you think it should be), I rose to the challenge of making all of my baked goods dairy free while I was there. My lovely sister-in-law has cut dairy out of her diet for the time being, and I decided to accommodate so that she could enjoy all the yummy baked goods that were made while I was there. Luckily, everything turned out so well that there were no complaints from the rest of us! I call it a raspberry pie, but the truth is that there were also blueberries and strawberries in it. I didn't have enough raspberries to fill an entire pie (or so I thought beforehand), so I improvised a little. However, I didn't account for the size of the pie pan I was going to use. I really should have checked to see what was available for my use before just assuming that everyone has the same pie pans that I use in my own kitchen. Hmmm... Now, what's that saying about assuming things??? Needless to say, I ended up packing the same amount of berries into a much smaller pie pan. Oops. Thankfully, it didn't change how awesome it tasted. It did, however, effect the way it looked, with berry juices ready to overflow from the pan. If you regularly check out my posts, then you may notice that the watermark on the pictures in this post are slightly different than all of my others. That would be because I didn't take these pictures (something about forgetting your camera at home makes it difficult to take pictures). A huge thank you goes out to my awesome photographer of a brother-in-law, Joshua Mahar. He was gracious enough to take pictures since I was unable to. If you've never seen his work, you really should check it out! 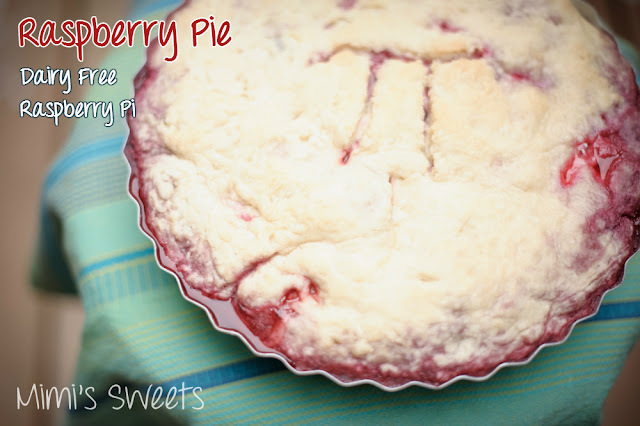 All in all, it was a phenomenal tasting dairy free pie overflowing with berry goodness! If you are a fan of pies, check out my post on Thanksgiving Pies... And if you are a fan of baking dairy free, then check back in a couple days because my next post will be on Dairy Free Chocolate Chip Scones!